Little is known about Swaine’s early career, although Royal Navy records from 1735 show him listed as a messenger. 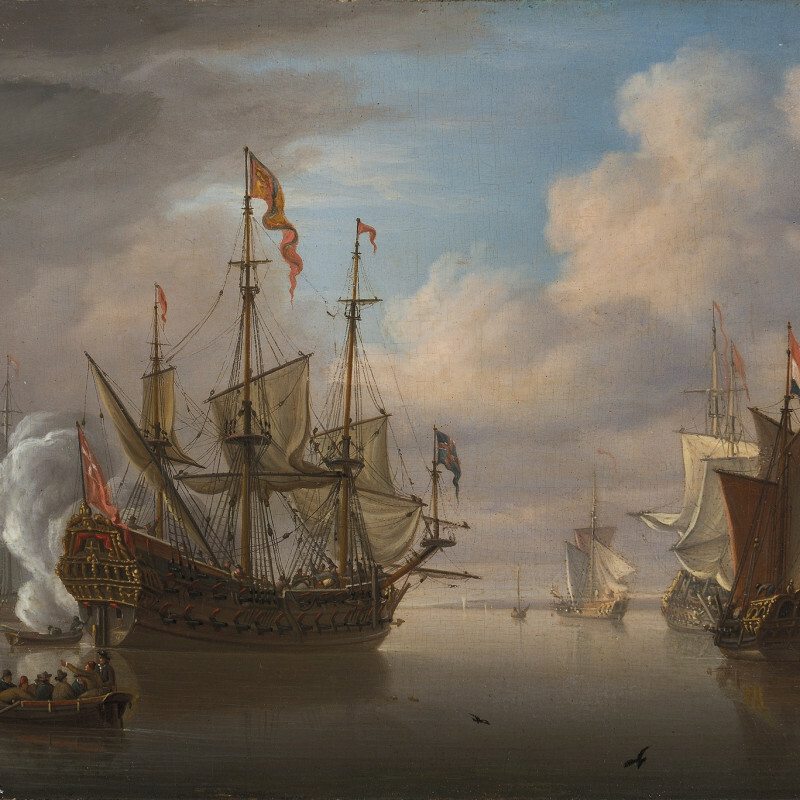 Similarly to other marine artists of his generation he closely studied the legacy of the Van de Veldes as well as the techniques of his father-in-law Peter Monamy (1681-1749), who was probably his teacher. Francis Swaine exhibited at the Free Society exhibitions from their inception in 1761 until the end of his life and posthumously exhibited a further seven pictures in 1783. Similarly, he contributed to the Society of Artists exhibitions, where his work appeared from 1762 to 1783. He was a close contemporary of Charles Brooking. Swaine liked to paint general shipping subjects, often on a small scale and he often took commissions for actions.